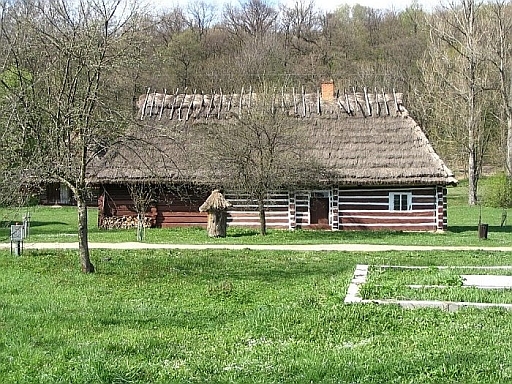 The Sanok Open Air Museum has the largest collection of historical buildings based on folk architecture in Poland. The Lemkos, Bojkos, Western Pogorzans, Eastern Pogorzans and Dolinianie are the natives of this mountain region. A slice of their lives, rituals and practices dating from the 17th to the 20th century are variously represented in the museum. History in the form of peasants’ dwellings, manors, religious buildings like a chapel and a 17th century Orthodox Church, a water mill, a smithy, a windmill, a charnel house, a sawmill, granaries, and even the local inn has been recreated in the museum. 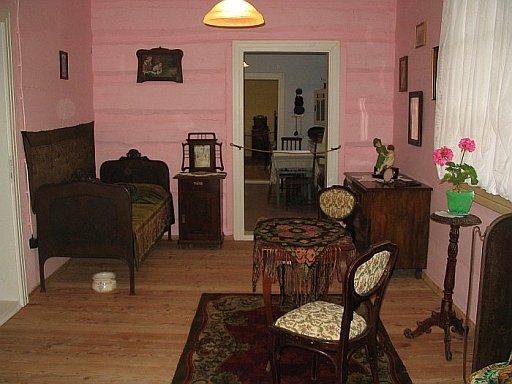 The Sanok Museum beckons you to take a walk down the memory lane. A few years ago the museum underwent a major transformation. A “new” Rynek (Town Square) was built just inside the entrance. 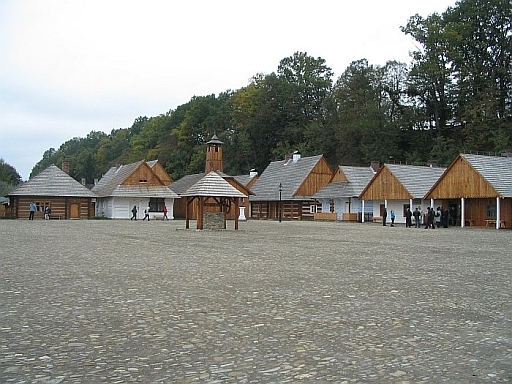 It is a replica of a Galician town square from the second half of the 19th century, inhabited by Polish, Jewish, and Rusyn populations. Besides reconstructed houses from various Subcarpathian towns, there is also a genuine Jewish house, firehouse, tavern, post-office, chemist’s, shop, barber’s and others. 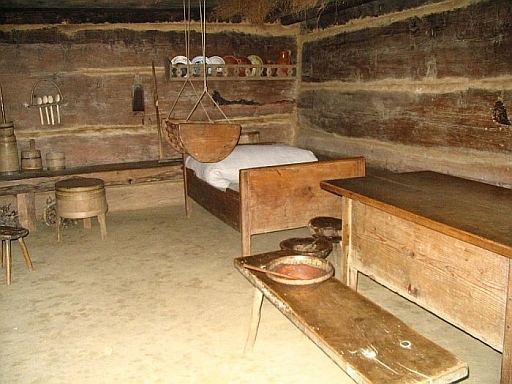 The exhibits include replicas of original Galician houses from different towns from the region. Here in Sanok museum you will literally enter your ancestors world! And at the end of Your Ancestors’ Life Day……..
Polish church stained glass window, 100 yr old reminant ?